It is a remarkable thought that the Scottish Motor Traction group, who had extensive interests in Scotland’s road transport industry, also ran its own airline during the 1930s. As well as providing air services and air taxis you could learn to fly by the SMT! 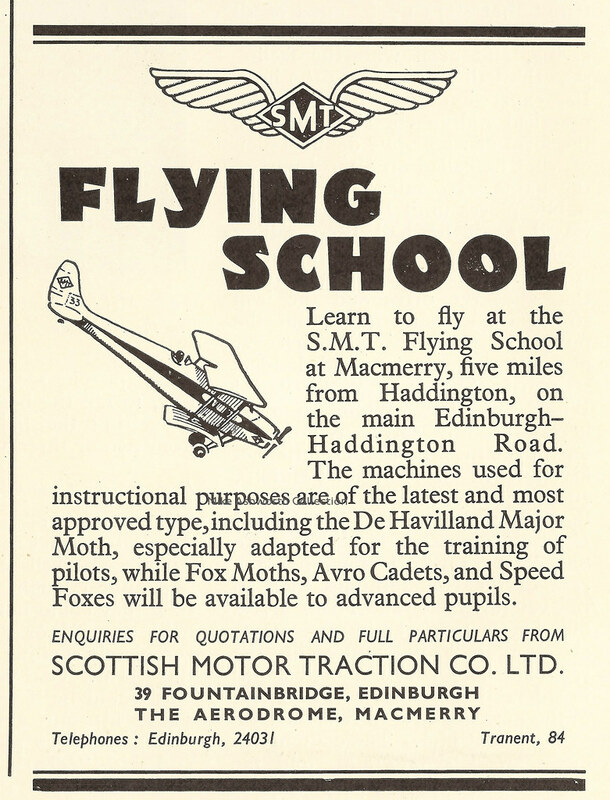 This advert shows the aerodrome at Macmerry, near Haddington in East Lothian as the base for the school – that meant you could get an SMT bus out there! The airfield here opened in 1929 and closed in 1953. The advert mentions some famous planes of the age – de Havilland and Avro (A V Roe). From Flickr: “Al Pacino in Scarface (1983)” by Truus, Bob & Jan too!